My father was no ordinary man & since receiving a huge amount of support from Steemit after writing briefly about his life last month it has been decided now is the time to set my sights on making the film. We need to tell the TRUTH! 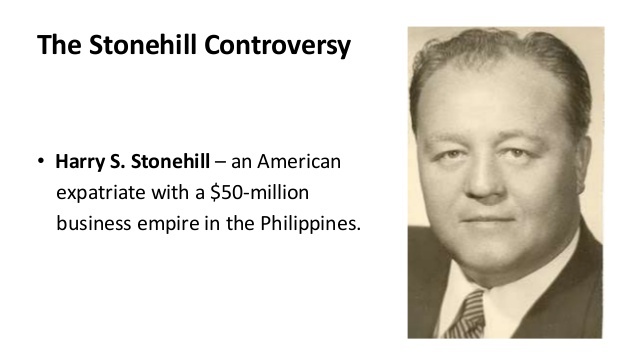 The only existing publication, 'The Rise & Fall of Harry Stonehill in the Philippines' was written in 1989 by a US patriot and it does not tell the full story. 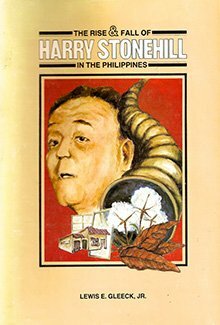 Harry was responsible for the industrialisation of the Philippines after the 2nd world war with a 17 Corporation business empire built around the production of low cost housing & amenities for the poor, including glass, steel, cement, cotton & tobacco. Known in the Philippines as 'the G.I. 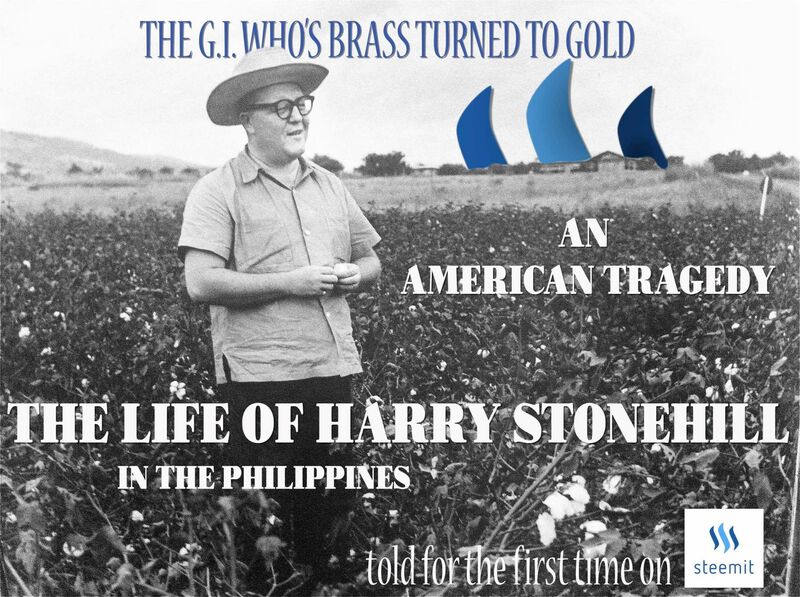 whose brass turned to gold', he defended them against the Japanese as a US soldier and stayed on for 20 years to become the most powerful man in the country, dedicated to improving the lives of millions of Filipinos, before suffering complete betrayal at the hands of the US government because he was not prepared to assist them with their control based political intentions for the country. This led to years of surveillance, undercover agents and ultimately his demise: He was publicly branded as a criminal and deported, never permitted to return. 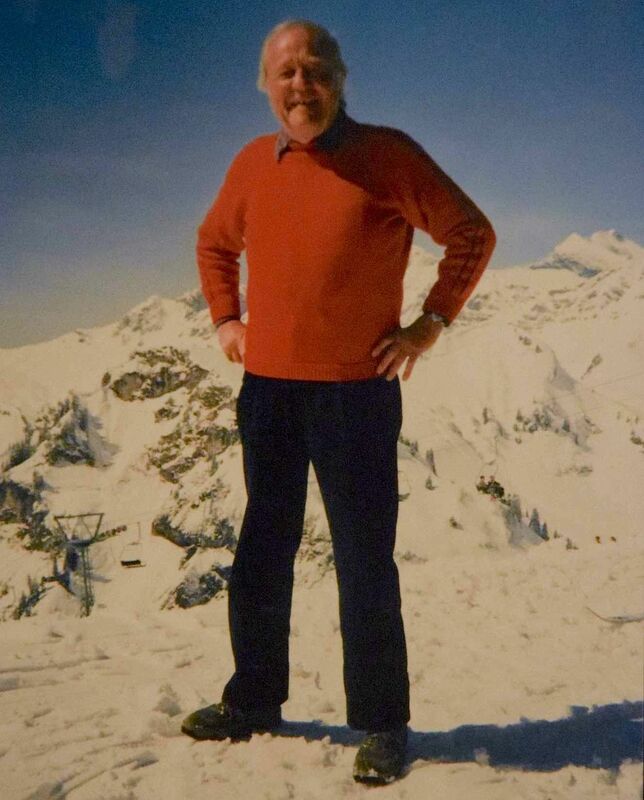 He was chased around the world, prevented from establishing any further successful businesses until his death in 2002. This is the article I wrote a month ago to commemorate his life. SEE HERE to read this article. 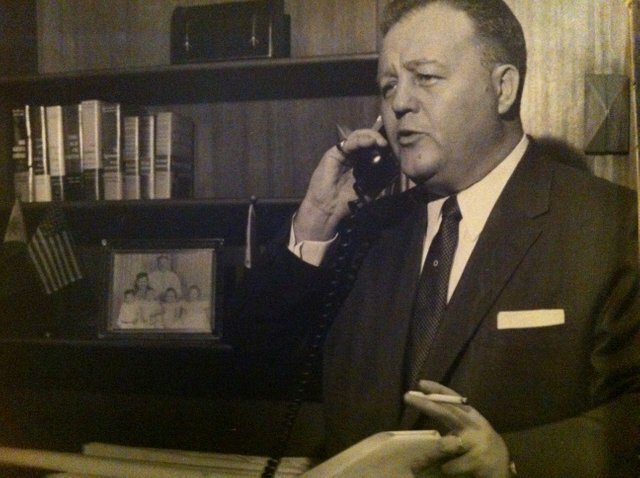 Dad had four wives and ten kids, most of whom have kids of their own. And many of my cousins are consequently older than me! Making it a bit strange to hear them call me Uncle Sam! 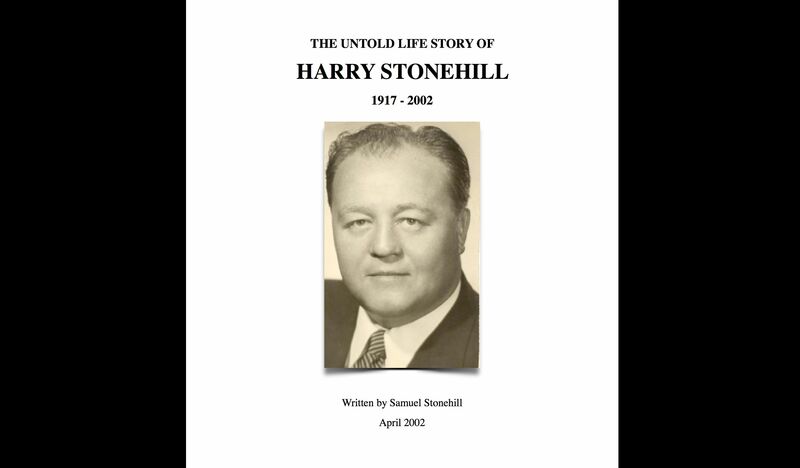 So, let's just say there are many Stonehills now and we all have our different perspectives on this long and eventful story. To tell this story as a family, rather than as a single individual. I intend also to involve many non family members in seeking the TRUTH. ᴅᴇᴀʀᴇꜱᴛ ꜱᴛᴏɴᴇʜɪʟʟ ꜰᴀᴍɪʟʏ & ꜰʀɪᴇɴᴅꜱ. ɪ ʜᴏᴘᴇ ᴍʏ ᴇᴍᴀɪʟ ꜰɪɴᴅꜱ ʏᴏᴜ ꜱᴍɪʟɪɴɢ ɪɴ ᴛʜɪꜱ ᴍᴏᴍᴇɴᴛ. ɪ ᴀᴍ ᴡʀɪᴛɪɴɢ ᴛᴏ ʏᴏᴜ ɴᴏᴡ ᴡɪᴛʜ ᴛʜᴇ ɪɴᴛᴇɴᴛɪᴏɴ ᴏꜰ ʙʀɪɴɢɪɴɢ ᴏᴜʀ ꜰᴀᴍɪʟʏ ᴛᴏɢᴇᴛʜᴇʀ ᴛᴏ ᴄʀᴇᴀᴛᴇ ꜱᴏᴍᴇᴛʜɪɴɢ ᴠᴇʀʏ ɪᴍᴘᴏʀᴛᴀɴᴛ ᴡʜɪᴄʜ ʜᴀꜱ ʙᴇᴇɴ ᴡᴀɪᴛɪɴɢ ᴛᴏ ʜᴀᴘᴘᴇɴ ꜰᴏʀ ᴀ ᴠᴇʀʏ ʟᴏɴɢ ᴛɪᴍᴇ. ᴛʜᴇ ʟɪꜰᴇ ᴏꜰ ʜᴀʀʀʏ ꜱᴏʟᴏᴍᴏɴ ꜱᴛᴏɴᴇʜɪʟʟ ɪꜱ ᴀ ʟɪꜰᴇ ᴡᴏʀᴛʜ ʀᴇᴍᴇᴍʙᴇʀɪɴɢ. ɪ ᴀᴍ ꜱᴜʀᴇ ʏᴏᴜ ᴡɪʟʟ ᴀʟʟ ᴀɢʀᴇᴇ. ᴛʜᴀɴᴋ ʏᴏᴜ ꜱᴜꜱᴀɴ ꜱᴛᴏɴᴇʜɪʟʟ ꜰᴏʀ ᴘᴏɪɴᴛɪɴɢ ᴏᴜᴛ ɪᴛ ᴡᴀꜱ ʜɪꜱ 100ᴛʜ ʙɪʀᴛʜᴅᴀʏ ʀᴇᴄᴇɴᴛʟʏ. ᴡᴇ ʟɪᴛ ᴀ ᴄᴀɴᴅʟᴇ ꜰᴏʀ ʜɪᴍ ᴀꜱ ᴀ ꜰᴀᴍɪʟʏ ʜᴇʀᴇ ɪɴ ʙᴀʟɪ ᴀɴᴅ ɪ ᴛᴏʟᴅ ᴍʏ ᴄʜɪʟᴅʀᴇɴ ʜᴏᴡ ᴡᴏɴᴅᴇʀꜰᴜʟ ʜᴇ ᴡᴀꜱ. ɴᴏᴛ ᴛʜᴀᴛ ᴛʜᴇʏ ᴜɴᴅᴇʀꜱᴛᴏᴏᴅ ᴏꜰ ᴄᴏᴜʀꜱᴇ! ʙᴜᴛ ᴡʜᴀᴛ ɪ ʀᴇᴀʟɪꜱᴇᴅ ɪɴ ᴛʜᴀᴛ ᴍᴏᴍᴇɴᴛ ᴡᴀꜱ ᴛʜᴀᴛ ɴᴏᴡ ɪꜱ ᴛʜᴇ ᴛɪᴍᴇ ꜰᴏʀ ᴜꜱ ᴛᴏ ᴘʟᴀʏ ᴏᴜʀ ᴘᴀʀᴛ ɪɴ ᴛᴇʟʟɪɴɢ ʜɪꜱ ꜱᴛᴏʀʏ ᴛᴏ ᴛʜᴇ ᴡᴏʀʟᴅ, ꜱᴏ ᴛʜᴀᴛ ᴏᴜʀ ɢʀᴀɴᴅᴄʜɪʟᴅʀᴇɴ ᴡɪʟʟ ʙᴇ ᴀʙʟᴇ ᴛᴏ ʀᴇᴀᴅ ᴏʀ ᴡᴀᴛᴄʜ ꜱᴏᴍᴇ ᴋɪɴᴅ ᴏꜰ ʟᴀꜱᴛɪɴɢ ᴛᴇꜱᴛᴀᴍᴇɴᴛ ᴛᴏ ᴛʜᴇ ɪɴꜱᴘɪʀɪɴɢ ʟɪꜰᴇ ʜᴇ ʟɪᴠᴇᴅ. ᴀꜰᴛᴇʀ ᴡʀɪᴛɪɴɢ ᴀɴ ᴀʀᴛɪᴄʟᴇ ᴏɴ ꜱᴛᴇᴇᴍɪᴛ ᴛᴏ ᴄᴏᴍᴍᴇᴍᴏʀᴀᴛᴇ ᴛʜᴇ 100 ʏᴇᴀʀꜱ, ɪ ᴡɪᴛɴᴇꜱꜱᴇᴅ ᴀɴ ᴀᴍᴀᴢɪɴɢ ʀᴇꜱᴘᴏɴꜱᴇ ꜰʀᴏᴍ ᴛʜᴇ ᴄᴏᴍᴍᴜɴɪᴛʏ. ʙᴜᴛ ʀᴇᴍᴇᴍʙᴇʀ ᴛʜɪꜱ ɪꜱ ᴊᴜꜱᴛ ᴍʏ ᴠᴇʀꜱɪᴏɴ ᴏꜰ ᴇᴠᴇɴᴛꜱ: ᴍᴇᴍᴏʀɪᴇꜱ ᴏꜰ ꜱᴛᴏʀɪᴇꜱ ʜᴇ ᴛᴏʟᴅ, ᴄᴏᴍʙɪɴᴇᴅ ᴡɪᴛʜ ɴᴏᴛᴇꜱ ꜰʀᴏᴍ ᴀ ᴅɪᴄᴛᴀᴘʜᴏɴᴇ ʀᴇᴄᴏʀᴅɪɴɢ ɪ ᴍᴀᴅᴇ ᴡɪᴛʜ ʜɪᴍ ʙᴇꜰᴏʀᴇ ʜᴇ ᴅɪᴇᴅ. ɪ ʙᴇʟɪᴇᴠᴇ ɪꜰ ᴡᴇ ᴡᴏʀᴋ ᴛᴏɢᴇᴛʜᴇʀ ɴᴏᴡ ᴀꜱ ᴀ ꜰᴀᴍɪʟʏ ᴡᴇ ᴡɪʟʟ ʙᴇ ᴀʙʟᴇ ᴛᴏ ᴛᴇʟʟ ʜɪꜱ ꜱᴛᴏʀʏ ᴍᴏʀᴇ ᴀᴄᴄᴜʀᴀᴛᴇʟʏ. ꜱɪɴᴄᴇ ᴡʀɪᴛɪɴɢ ᴛʜɪꜱ ꜱᴛᴇᴇᴍɪᴛ ᴀʀᴛɪᴄʟᴇ ɪ ʜᴀᴠᴇ ʙᴇᴇɴ ᴀᴘᴘʀᴏᴀᴄʜᴇᴅ ʙʏ ᴀɴ ᴏʟᴅ ꜰɪʟᴍ ꜱᴄʜᴏᴏʟ ꜰʀɪᴇɴᴅ ᴀɴᴅ ᴇxᴘᴇʀɪᴇɴᴄᴇᴅ ꜰɪʟᴍ ᴘʀᴏᴅᴜᴄᴇʀ ᴡʜᴏ ɪꜱ ꜱᴛʀᴏɴɢʟʏ ᴇɴᴄᴏᴜʀᴀɢɪɴɢ ᴍᴇ ᴛᴏ ᴛᴀᴋᴇ ᴛʜɪꜱ ꜰᴜʀᴛʜᴇʀ ɴᴏᴡ. ᴀꜱ ᴀ ʀᴇꜱᴜʟᴛ, ɪ ᴄᴏɴᴛᴀᴄᴛᴇᴅ ᴀ ᴍᴀɴ ɪ ᴜꜱᴇᴅ ᴛᴏ ᴡᴏʀᴋ ᴡɪᴛʜ, ᴀ ᴘᴇʀꜱᴏɴᴀʟ ꜰʀɪᴇɴᴅ ᴛᴏ ꜱᴛᴇᴠᴇɴ ꜱᴘɪᴇʟʙᴇʀɢ, ɪɴᴠᴏʟᴠᴇᴅ ᴡɪᴛʜ ʜɪꜱ ᴇᴀʀʟʏ ꜰɪʟᴍꜱ, ᴇᴍᴘɪʀᴇ ᴏꜰ ᴛʜᴇ ꜱᴜɴ & ɪɴᴅɪᴀɴ ᴊᴏɴᴇꜱ. ʜᴇ ɪꜱ ᴀ ᴍᴀɴ ᴡɪᴛʜ ᴍᴜᴄʜ ɪɴᴅᴜꜱᴛʀʏ ᴡɪꜱᴅᴏᴍ ᴀɴᴅ ʜᴀꜱ ᴀɢʀᴇᴇᴅ ᴛᴏ ᴀᴛᴛᴀᴄʜ ʜɪꜱ ɴᴀᴍᴇ ᴛᴏ ᴛʜɪꜱ ᴘʀᴏᴊᴇᴄᴛ ᴀɴᴅ ɢᴜɪᴅᴇ ᴜꜱ ᴏɴ ᴛʜᴇ ᴊᴏᴜʀɴᴇʏ. ʜᴇ ꜱᴜɢɢᴇꜱᴛᴇᴅ ᴀ ꜰᴇᴡ ᴅᴀʏꜱ ᴀɢᴏ ᴛʜᴀᴛ ɪꜰ ᴡᴇ ᴀʀᴇ ᴛᴏ ᴍᴀᴋᴇ ᴀ ꜰɪʟᴍ ᴀʙᴏᴜᴛ ʜɪꜱ ʟɪꜰᴇ ᴏꜰ ʜꜱꜱ, ᴛʜᴇ ꜰɪʀꜱᴛ ᴛʜɪɴɢ ᴡᴇ ᴍᴜꜱᴛ ᴅᴏ ɪꜱ ᴘᴜʙʟɪꜱʜ ʜɪꜱ ꜱᴛᴏʀʏ ᴛᴏ ʙᴜɪʟᴅ ᴀᴡᴀʀᴇɴᴇꜱꜱ. ᴛʜɪꜱ ᴅᴏᴇꜱɴ’ᴛ ʜᴀᴠᴇ ᴛᴏ ʙᴇ ɪɴ ᴛʜᴇ ꜰᴏʀᴍ ᴏꜰ ᴀ ᴘʜʏꜱɪᴄᴀʟ ʙᴏᴏᴋ. ᴛʜᴇʀᴇ ᴀʀᴇ ᴍᴀɴʏ ᴘᴇᴏᴘʟᴇ ᴘᴜʙʟɪꜱʜɪɴɢ ᴛʜᴇɪʀ ʙᴏᴏᴋꜱ ᴏɴ ꜱᴛᴇᴇᴍɪᴛ ɴᴏᴡ. ᴛʜɪꜱ ɪꜱ ʙᴇᴄᴀᴜꜱᴇ ɪᴛ ɪꜱ ᴀ ᴅᴇᴄᴇɴᴛʀᴀʟɪꜱᴇᴅ ꜱʏꜱᴛᴇᴍ ᴀɴᴅ ɴᴏ ᴀɢᴇɴᴛꜱ ᴏʀ ᴘᴜʙʟɪᴄɪꜱᴛꜱ ᴀʀᴇ ʀᴇQᴜɪʀᴇᴅ, ʟᴇᴀᴠɪɴɢ 100% ᴏꜰ ʀᴇᴠᴇɴᴜᴇ ɢᴇɴᴇʀᴀᴛᴇᴅ ꜰᴏʀ ᴛʜᴇ ᴀᴜᴛʜᴏʀ. ᴡʜɪʟꜱᴛ ᴛʜᴇʀᴇ ᴀʀᴇ ᴜɴᴅᴇʀ ʜᴀʟꜰ ᴀ ᴍɪʟʟɪᴏɴ ᴜꜱᴇʀꜱ ᴏꜰ ꜱᴛᴇᴇᴍɪᴛ ᴄᴜʀʀᴇɴᴛʟʏ ɪᴛ ꜱᴛɪʟʟ ʀᴇᴍᴀɪɴꜱ ᴛʜᴇ ꜰᴀꜱᴛᴇꜱᴛ ɢʀᴏᴡɪɴɢ ꜱᴏᴄɪᴀʟ ᴍᴇᴅɪᴀ ᴘʟᴀᴛꜰᴏʀᴍ ᴇᴠᴇʀ ᴄʀᴇᴀᴛᴇᴅ… ꜱᴏ ɪɴ ᴛɪᴍᴇ ᴛʜᴇʀᴇ ᴡɪʟʟ ʙᴇ ᴍᴀɴʏ ᴍᴏʀᴇ. ᴀɴᴅ ᴅᴜᴇ ᴛᴏ ᴛʜᴇ ɴᴀᴛᴜʀᴇ ᴏꜰ ʙʟᴏᴄᴋᴄʜᴀɪɴ ᴛᴇᴄʜɴᴏʟᴏɢʏ, ᴛʜᴇꜱᴇ ᴀʀᴛɪᴄʟᴇꜱ ᴡɪʟʟ ʙᴇ ᴛʜᴇʀᴇ ꜰᴏʀᴇᴠᴇʀ. ɴᴏ ᴏɴᴇ ᴄᴀɴ ᴇᴠᴇʀ ᴅᴇʟᴇᴛᴇ ᴏʀ ᴀᴍᴇɴᴅ ᴛʜᴇᴍ. ᴜɴʟɪᴋᴇ ᴀ ʏᴏᴜᴛᴜʙᴇ ꜰɪʟᴍ ꜰᴏʀ ᴇxᴀᴍᴘʟᴇ ᴏʀ ᴀ ᴛᴡᴇᴇᴛ ᴡʜɪᴄʜ ᴄᴀɴ ʙᴇ ʀᴇᴍᴏᴠᴇᴅ ᴀᴛ ᴡɪʟʟ ʙʏ ᴀ ᴄᴇɴᴛʀᴀʟɪꜱᴇᴅ ꜱʏꜱᴛᴇᴍ ᴡʜɪᴄʜ ᴅᴏᴇꜱɴ’ᴛ ᴀʟᴡᴀʏꜱ ʜᴀᴠᴇ ᴏᴜʀ ʙᴇꜱᴛ ɪɴᴛᴇʀᴇꜱᴛꜱ ᴀᴛ ʜᴇᴀʀᴛ. ꜱᴏ, ɪ ᴘʀᴏᴘᴏꜱᴇ ᴛʜᴀᴛ ᴡᴇ ᴡᴏʀᴋ ᴛᴏɢᴇᴛʜᴇʀ ɴᴏᴡ ᴏɴ ᴄʀᴇᴀᴛɪɴɢ ᴀ ᴄᴏʟʟᴇᴄᴛɪᴏɴ ᴏꜰ ᴄʜᴀᴘᴛᴇʀꜱ ᴡʜɪᴄʜ ᴡᴇ ᴀʟʟ ꜰᴇᴇʟ ʜᴀᴘᴘʏ ᴡɪᴛʜ. ɪ ᴡɪʟʟ ᴄʀᴇᴀᴛᴇ ᴀ ꜱᴛᴇᴇᴍɪᴛ ᴀᴄᴄᴏᴜɴᴛ ɪɴ ʜɪꜱ ɴᴀᴍᴇ ᴀɴᴅ ᴏɴᴄᴇ ᴇᴠᴇʀʏᴏɴᴇ ɪꜱ ᴄᴏᴍꜰᴏʀᴛᴀʙʟᴇ ᴡɪᴛʜ ᴡʜᴀᴛ ʜᴀꜱ ʙᴇᴇɴ ᴡʀɪᴛᴛᴇɴ, ᴡᴇ ᴡɪʟʟ ᴘᴜʙʟɪꜱʜ ᴛʜᴇꜱᴇ ᴄʜᴀᴘᴛᴇʀꜱ ᴏɴᴇ ʙʏ ᴏɴᴇ. 100% ᴏꜰ ᴛʜᴇ ʀᴇᴠᴇɴᴜᴇ ɢᴇɴᴇʀᴀᴛᴇᴅ ʙʏ ᴛʜᴇꜱᴇ ᴘᴜʙʟɪᴄᴀᴛɪᴏɴꜱ ᴡɪʟʟ ɢᴏ ᴛᴏᴡᴀʀᴅꜱ ᴛʜᴇ ᴘʀᴏᴅᴜᴄᴛɪᴏɴ ᴏꜰ ᴀ ꜰɪʟᴍ. ɪ ᴀᴍ ᴄᴜʀʀᴇɴᴛʟʏ ᴅʀᴀꜰᴛɪɴɢ ᴀ ʟᴇᴛᴛᴇʀ ᴛᴏ ꜱᴛᴀɴ ʟᴇᴇ ᴡʜᴏ ᴛᴏʟᴅ ᴍᴇ ᴍᴀɴʏ ʏᴇᴀʀꜱ ᴀɢᴏ ʜᴇ ᴡᴏᴜʟᴅ ʟᴏᴠᴇ ᴛᴏ ɢᴇᴛ ᴛʜɪꜱ ꜰɪʟᴍ ᴍᴀᴅᴇ. ɪ ɢᴜᴇꜱꜱ ʜᴇ ʜᴀꜱ ʙᴇᴇɴ ᴀ ʟɪᴛᴛʟᴇ ʙᴜꜱʏ ꜱɪɴᴄᴇ ᴛʜᴇɴ ᴍᴀᴋɪɴɢ ᴀʟʟ ʜɪꜱ ꜰɪᴄᴛɪᴏɴᴀʟ ꜱᴜᴘᴇʀʜᴇʀᴏ ꜰɪʟᴍꜱ! ꜱᴏ, ɪ ᴡɪʟʟ ʀᴇᴍɪɴᴅ ʜɪᴍ ᴏꜰ ʜɪꜱ ᴡᴏʀᴅꜱ ᴀɴᴅ ᴀꜱᴋ ɪꜰ ʜᴇ ᴡᴏᴜʟᴅ ʟɪᴋᴇ ᴛᴏ ʙᴇ ᴛʜᴇ ᴇxᴇᴄᴜᴛɪᴠᴇ ᴘʀᴏᴅᴜᴄᴇʀ ᴏꜰ ᴛʜɪꜱ ꜰɪʟᴍ. ᴡɪᴛʜ ʜɪꜱ ɴᴀᴍᴇ ᴀᴛᴛᴀᴄʜᴇᴅ ᴛᴏ ᴛʜᴇ ᴘʀᴏᴅᴜᴄᴛɪᴏɴ ɪᴛ ᴡɪʟʟ ʙᴇ ᴍᴜᴄʜ ᴇᴀꜱɪᴇʀ ʀᴀɪꜱᴇ ᴛʜᴇ ᴍᴏɴᴇʏ ᴡᴇ ɴᴇᴇᴅ ᴛᴏ ᴘʀᴏᴅᴜᴄᴇ ɪᴛ ᴀɴᴅ ɢᴀɪɴ ɪɴᴠᴀʟᴜᴀʙʟᴇ ᴘᴜʙʟɪᴄɪᴛʏ. ɪᴛ ɪꜱ ᴍʏ ɪɴᴛᴇɴᴛɪᴏɴ ᴛᴏ ᴄʀᴇᴀᴛᴇ ʙᴏᴛʜ ᴀ ꜰᴇᴀᴛᴜʀᴇ ꜰɪʟᴍ ᴀɴᴅ ᴀ ᴅᴏᴄᴜᴍᴇɴᴛᴀʀʏ. ɪ ᴀᴍ ᴜɴꜱᴜʀᴇ ʏᴇᴛ ʜᴏᴡᴇᴠᴇʀ ᴡʜɪᴄʜ ᴏɴᴇ ꜱʜᴏᴜʟᴅ ᴄᴏᴍᴇ ꜰɪʀꜱᴛ. ʙᴜᴛ ᴡɪʟʟ ᴋᴇᴇᴘ ʏᴏᴜ ɪɴꜰᴏʀᴍᴇᴅ ᴀꜱ ɪ ᴅɪꜱᴄᴏᴠᴇʀ ᴍᴏʀᴇ ᴀʙᴏᴜᴛ ᴛʜᴇ ᴍᴏꜱᴛ ᴇꜰꜰᴇᴄᴛɪᴠᴇ ᴡᴀʏ ᴛᴏ ᴀᴘᴘʀᴏᴀᴄʜ ᴛʜɪꜱ. ᴍʏ ᴘᴇʀꜱᴏɴᴀʟ ꜱᴋɪʟʟꜱ ᴀꜱ ᴀ ᴅᴏᴄᴜᴍᴇɴᴛᴀʀʏ ꜰɪʟᴍ ᴍᴀᴋᴇʀ ᴀʀᴇ ᴘʀᴏɢʀᴇꜱꜱɪɴɢ ᴛᴏ ᴛʜᴇ ᴘᴏɪɴᴛ ᴡʜᴇʀᴇ ɪ ꜰᴇᴇʟ ᴀꜱ ɪꜰ ɪ ᴡᴏᴜʟᴅ ʟɪᴋᴇ ᴛᴏ ᴅɪʀᴇᴄᴛ ᴛʜɪꜱ ᴅᴏᴄᴜᴍᴇɴᴛᴀʀʏ. ɪꜰ ʜᴏᴡᴇᴠᴇʀ, ᴡᴇ ᴅᴇᴄɪᴅᴇ ᴛᴏ ᴍᴀᴋᴇ ᴛʜᴇ ꜰᴇᴀᴛᴜʀᴇ ꜰɪʟᴍ ꜰɪʀꜱᴛ, ᴡᴇ ᴡɪʟʟ ꜱᴇᴇᴋ ᴀɴ ᴇꜱᴛᴀʙʟɪꜱʜᴇᴅ ᴅɪʀᴇᴄᴛᴏʀ ᴀɴᴅ ɪ ᴡᴏᴜʟᴅ ꜱᴇʀᴠᴇ ᴀꜱ ᴄʀᴇᴀᴛɪᴠᴇ ᴀᴅᴠɪꜱᴏʀ ᴀɴᴅ ꜱᴘᴏᴋᴇꜱᴍᴀɴ ꜰᴏʀ ᴏᴜʀ ꜰᴀᴍɪʟʏ. ᴋᴇᴇᴘɪɴɢ ʏᴏᴜ ɪɴ ᴛʜᴇ ʟᴏᴏᴘ ᴀᴛ ᴀʟʟ ᴛɪᴍᴇꜱ. ᴛʜᴇ ʟɪꜰᴇ ᴏꜰ ᴇᴄᴄᴇɴᴛʀɪᴄ ᴀʀᴛɪꜱᴛ ʀᴏᴍ ʏᴀᴀʀɪ. ᴛʜᴇ ᴇɴᴇʀɢʏ ᴅᴇᴄᴇᴘᴛɪᴏɴ - ɪ ᴇᴅɪᴛᴇᴅ ᴛʜɪꜱ ᴇxᴄʟᴜꜱɪᴠᴇʟʏ ꜰᴏʀ ꜱᴛᴇᴇᴍɪᴛ ᴡɪᴛʜ ᴀ ꜰʀɪᴇɴᴅ ʜᴇʀᴇ ɪɴ ʙᴀʟɪ. ꜱᴜɴᴅᴀʏᴀ ꜱᴏʟᴀʀ ᴘᴏᴡᴇʀ - ᴀ ᴄᴏᴍᴘᴀɴʏ ɪ ᴀᴍ ᴄᴜʀʀᴇɴᴛʟʏ ᴘʀᴏᴅᴜᴄɪɴɢ ᴍᴀɴʏ ꜰɪʟᴍꜱ ꜰᴏʀ. ʙʀɪɴɢɪɴɢ ᴅᴇᴄᴇɴᴛʀᴀʟɪꜱᴇᴅ ᴇɴᴇʀɢʏ ᴛᴏ ɪɴᴅᴏɴᴇꜱɪᴀ. ɪ ʙᴇʟɪᴇᴠᴇ ɪ ʜᴀᴠᴇ ᴄᴏᴍᴇ ᴀ ʟᴏɴɢ ᴡᴀʏ ꜱɪɴᴄᴇ ᴍʏ ᴇᴀʀʟʏ ᴅᴀʏꜱ ɪɴ ᴛʜᴇ ᴜᴋ ꜰɪʟᴍ ɪɴᴅᴜꜱᴛʀʏ. ɪ ʜᴏᴘᴇ ʏᴏᴜ ᴡɪʟʟ ᴀɢʀᴇᴇ. ɪ ᴡɪʟʟ ᴇɴꜱᴜʀᴇ ᴛʜᴀᴛ ᴀɴʏ ᴘʀᴏꜰɪᴛ ᴄᴏᴍᴇꜱ ᴅɪʀᴇᴄᴛʟʏ ʙᴀᴄᴋ ᴛᴏ ᴛʜᴇ ꜱᴛᴏɴᴇʜɪʟʟ ꜰᴀᴍɪʟʏ & ꜰʀɪᴇɴᴅꜱ. ᴘᴇʀꜱᴏɴᴀʟ ᴘᴇʀᴄᴇɴᴛᴀɢᴇꜱ ᴛᴏ ʙᴇ ᴀɢʀᴇᴇᴅ ᴜᴘᴏɴ ᴘʀɪᴏʀ ᴛᴏ ᴘʀᴏᴅᴜᴄᴛɪᴏɴ, ʙᴀꜱᴇᴅ ᴏɴ ᴏᴠᴇʀᴀʟʟ ᴄᴏɴᴛʀɪʙᴜᴛɪᴏɴ. ʟᴇᴀᴠɪɴɢ ᴏɴᴇ ᴘᴀʀᴛ ᴏꜰ ᴛʜᴇ ᴘᴇʀᴄᴇɴᴛᴀɢᴇ (ʏᴇᴛ ᴛᴏ ʙᴇ ᴀɢʀᴇᴇᴅ ᴜᴘᴏɴ) ᴛᴏ ʙᴇ ᴅɪꜱᴛʀɪʙᴜᴛᴇᴅ ᴇQᴜᴀʟʟʏ ᴀᴍᴏɴɢꜱᴛ ᴀʟʟ ɢʀᴀɴᴅᴄʜɪʟᴅʀᴇɴ ᴏꜰ ʜᴀʀʀʏ ꜱᴛᴏɴᴇʜɪʟʟ. ᴡᴏᴜʟᴅɴ’ᴛ ɪᴛ ʙᴇ ɢʀᴇᴀᴛ ɪꜰ ᴡᴇ ᴄᴏᴜʟᴅ ᴄʀᴇᴀᴛᴇ ᴀ (CRYPTO) ꜱᴀᴠɪɴɢꜱ ᴀᴄᴄᴏᴜɴᴛ ꜰᴏʀ ᴛʜᴇꜱᴇ ᴄʜɪʟᴅʀᴇɴ, ᴅᴜᴇ ᴛᴏ ᴏᴜʀ ᴀᴄᴛɪᴏɴꜱ ɴᴏᴡ? ᴡᴏᴜʟᴅ ʏᴏᴜ ʟɪᴋᴇ ᴛᴏ ɢᴇᴛ ɪɴᴠᴏʟᴠᴇᴅ ᴡɪᴛʜ ᴛʜɪꜱ ᴘʀᴏᴊᴇᴄᴛ? ᴅᴏ ʏᴏᴜ ʜᴀᴠᴇ ꜱᴛᴏʀɪᴇꜱ ʏᴏᴜ ᴡᴏᴜʟᴅ ʟɪᴋᴇ ᴛᴏ ꜱʜᴀʀᴇ ᴡɪᴛʜ ᴍᴇ - ʀᴇʟᴀᴛɪɴɢ ᴛᴏ ᴛʜᴇ ʟɪꜰᴇ ᴏꜰ ʜꜱꜱ? ᴅᴏ ʏᴏᴜ ʜᴀᴠᴇ ᴘʜᴏᴛᴏꜱ ʏᴏᴜ ᴀʀᴇ ʜᴀᴘᴘʏ ᴛᴏ ꜱʜᴀʀᴇ? ᴅᴏ ʏᴏᴜ ᴋɴᴏᴡ ᴏᴛʜᴇʀ ᴘᴇᴏᴘʟᴇ ᴡʜᴏ ʜᴀᴠᴇ ꜱᴛᴏʀɪᴇꜱ ᴏʀ ᴘʜᴏᴛᴏꜱ ᴛᴏ ꜱʜᴀʀᴇ? ɪꜰ ꜱᴛᴀɴ ᴀɢʀᴇᴇꜱ ᴛᴏ ᴛʜɪꜱ, ɪ ᴡɪʟʟ ɴᴇᴇᴅ ꜱᴏᴍᴇᴏɴᴇ ᴛᴏ ɪɴᴛᴇʀᴠɪᴇᴡ ʜɪᴍ ɪᴍᴍᴇᴅɪᴀᴛᴇʟʏ ɪɴ ʟᴀ. ᴀɴʏᴏɴᴇ ᴜᴘ ꜰᴏʀ ᴛᴀᴋɪɴɢ ᴏɴ ᴛʜɪꜱ ʀᴏʟᴇ? ɪᴅᴇᴀʟʟʏ ꜱᴏᴍᴇᴏɴᴇ ᴡɪᴛʜ ᴄᴀᴍᴇʀᴀ/ꜱᴏᴜɴᴅ ʀᴇᴄᴏʀᴅɪɴɢ ᴇxᴘᴇʀɪᴇɴᴄᴇ. ᴡᴏᴜʟᴅ ʏᴏᴜ ʟɪᴋᴇ ᴛᴏ ʙᴇ ᴀɴ ᴇᴀʀʟʏ ɪɴᴠᴇꜱᴛᴏʀ ɪɴ ᴛʜɪꜱ ᴘʀᴏᴊᴇᴄᴛ, ɢɪᴠɪɴɢ ʏᴏᴜ ᴀ ʟᴀʀɢᴇʀ ᴘᴇʀᴄᴇɴᴛᴀɢᴇ ᴏꜰ ᴀɴʏ ᴘʀᴏꜰɪᴛ ɢᴇɴᴇʀᴀᴛᴇᴅ ꜰʀᴏᴍ ᴛʜᴇ ꜰɪʟᴍ & ᴅᴏᴄᴜᴍᴇɴᴛᴀʀʏ? ɪ ᴠᴇʀʏ ᴍᴜᴄʜ ʟᴏᴏᴋ ꜰᴏʀᴡᴀʀᴅ ᴛᴏ ʜᴇᴀʀɪɴɢ ʙᴀᴄᴋ ꜰʀᴏᴍ ʏᴏᴜ. ᴀꜱᴀᴘ ɪꜰ ʏᴏᴜ ᴄᴀɴ 🙏🏻 ᴛʜᴇ ʀᴏʟʟɪɴɢ ꜱᴛᴏɴᴇ ɢᴀᴛʜᴇʀꜱ ɴᴏ ᴍᴏꜱꜱ! If you have made it to the end of this letter I commend you! And I would like to extend the invitation to any Filipinos out there who feel as if they may have something to add to this story. Despite the concerns of some I have found this community to be nothing but supportive and helpful. wow that is quite an amazing and fascinating father you have with such an interesting history. I'm sure he would be so proud of you for doing this for him, you sound like a great person! I look forward to seeing this film one day and I truly hope you get the support it deserves. It really makes you wonder what the US government has planned as part of there secretive agenda. This sounds like a fantastic story and an amazing life, I hope your family members are as enthusiastic as you are about the project. I couldn't think of a better way for you to commemorate your father and set the story straight, hopefully the Steemit community picks this up and makes it happen! I look forward to following the story and eventually seeing the documentary. Thanks very much for your support! It's going to be an exciting project for sure. And probably quite revealing too. I didn't know him as well as I would have liked. My family have talked about doing this for years... So, now is the time! I'm a Filipino and this is quite an interesting story. Oftentimes these amazing stories are not on our history books (at least the ones i've encountered in school). 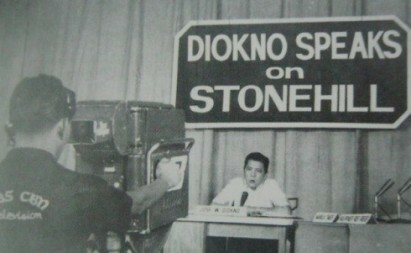 Will surely be looking forward for the success of your documentary project. If there's something I can help you with, I'm happy to support for these efforts. Mabuhay! Thank you so much for your kind offer of support. In time I will come to the Philippines to interview people. Perhaps we can combine it with a Steemit meet-up? Yes, the history books are always written by the victors of the war. That'll be great. Let us know when you are coming to the Philippines and we can definitely do a meet-up. 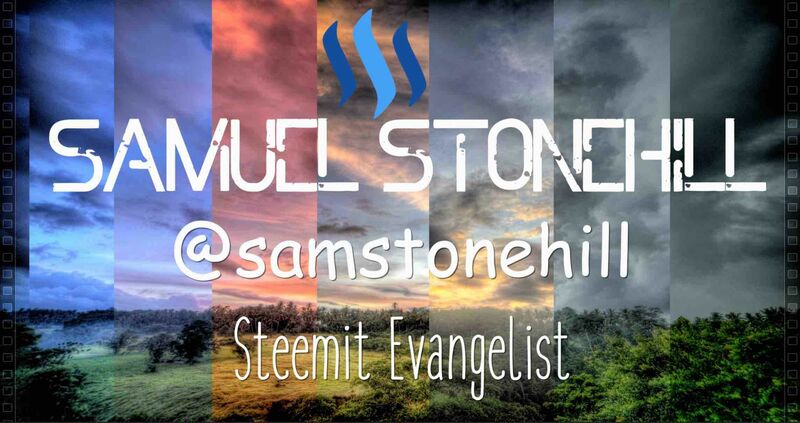 I have been supporting a Filipino Steemit Community, @steemph, as well, maybe this is something they are interested in doing. Strange that your father made such a huge impact in my country (PHL) after WWII but no mention of him in our history books. His extraordinary life story must be published! Thank you for your appearance here! It is great to continue this conversation with people so long after I wrote the post. We are very close now to getting this story made as a film, because as you say, there is not much record of his life currently. Pleasure! Thanks for your support. Just have to get it out of my head and into an edit suite somehow! I can see it as a film for sure! I do feel as sense of pride for sure. Our family originates from Warsaw. Just two generations ago we were simple farmers. Amazing how fast things can change! YES! Exciting times lie ahead, I'm sure! I remember reading the original post and no doubt a film or documentary will be met with exponentially more interest with such a remarkable story, family back-up and some great names behind you. Damn !!! What a story!!! It's going to make a cracking movie! Great article and a great story worth to be published by all means (book, film or documentary or even all of it). Enjoyed reading it! Wishing you all the success in the path of this goal accomplishment, I would also like to add that I am more than glad you managed to recover your account. I'm just curious (maybe I missed it in some of your previous posts), but did the hypnosis helped you remember your Steemit registration e-mail address or it was something else? I only wish there were more people like your dad in the world. Greed is a real sickness on this planet and we need to all vote with our wallets and stop buying the latest new Iphone's and Ipad's and we should not spend our money with any company that is destroying our planet, which is most of the hugh corporations. Your dad sounds like an amazing guy. I wish there were more people in the world like him. Congratulations @samstonehill, this post is the fifth most rewarded post (based on pending payouts) in the last 12 hours written by a Superuser account holder (accounts that hold between 1 and 10 Mega Vests). The total number of posts by Superuser account holders during this period was 632 and the total pending payments to posts in this category was $3260.66. To see the full list of highest paid posts across all accounts categories, click here.